No more broken bottles. 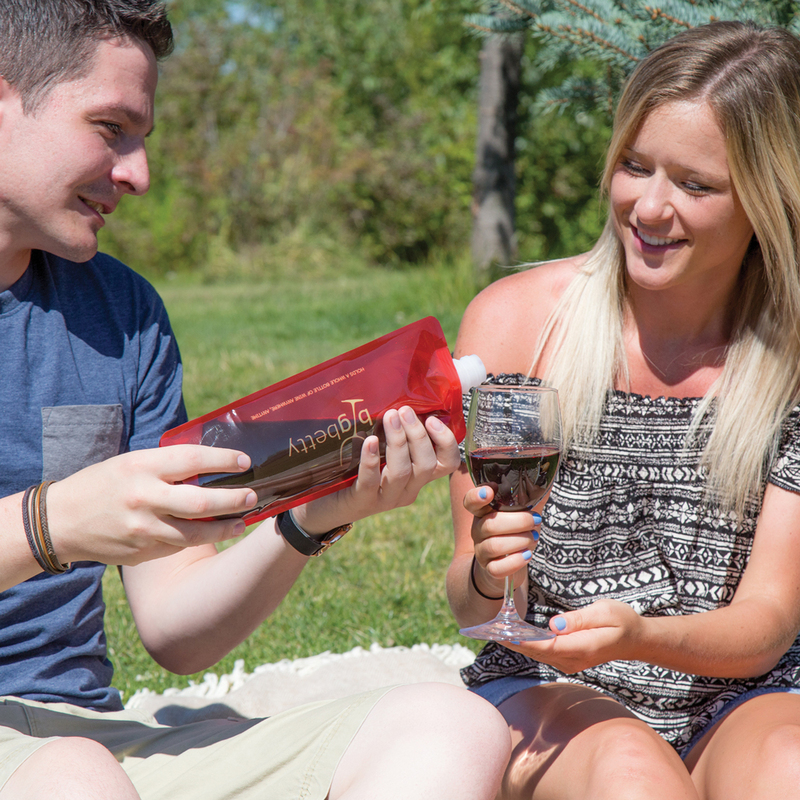 This flexible and foldable wine carrier is perfect for rolling and folding to take on picnics, to concerts, by the pool, camping and tailgating. Really does hold a whole 25 oz (750 ml) bottle of wine! 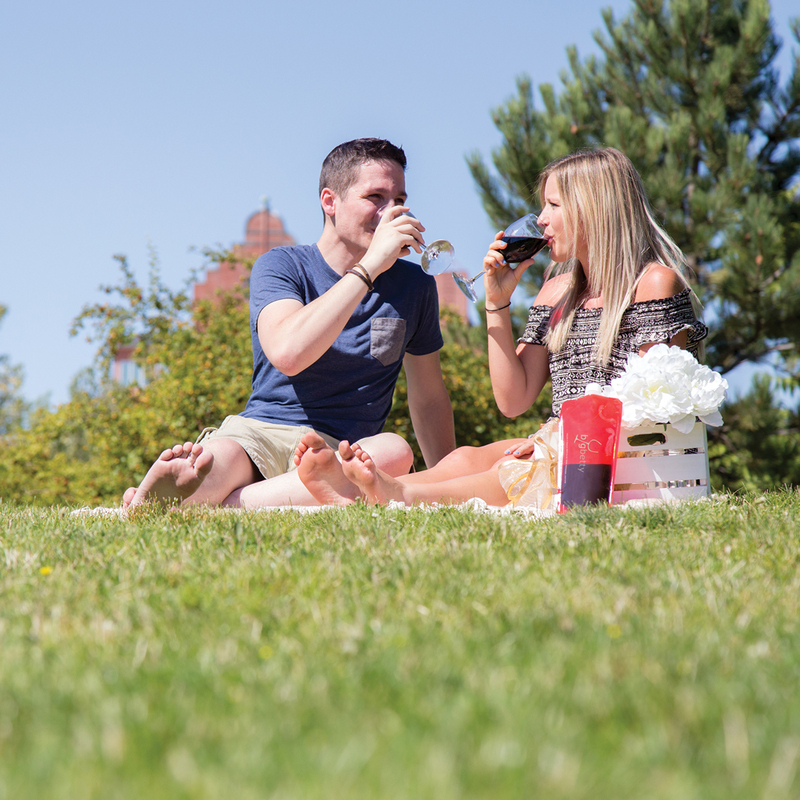 It can be risky bringing glass bottles and glasses with you when you head outdoors. 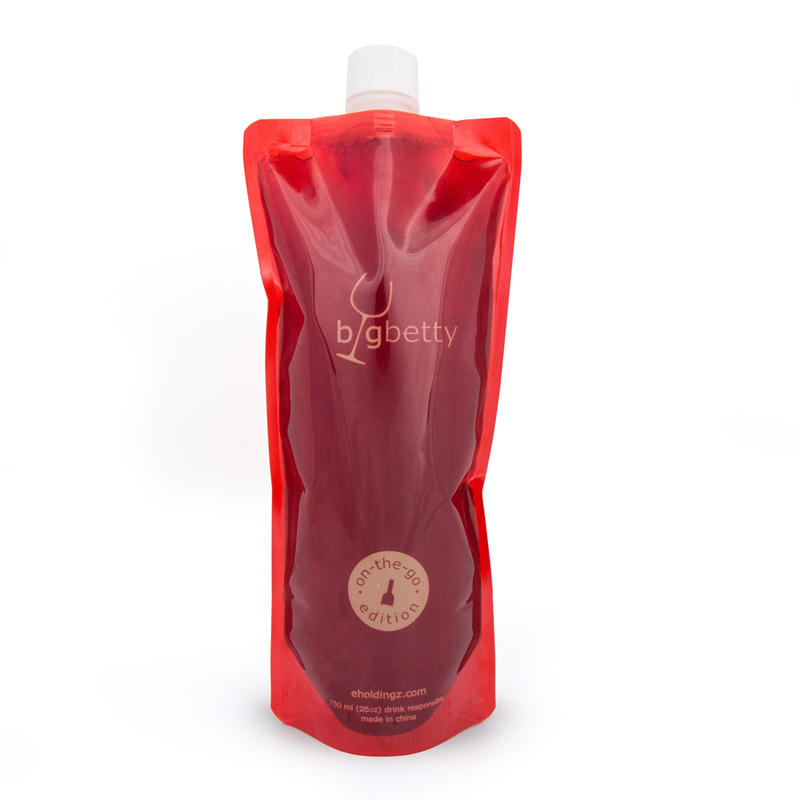 Behold the solution: Big Betty’s On-the-Go flexible wine bottle. 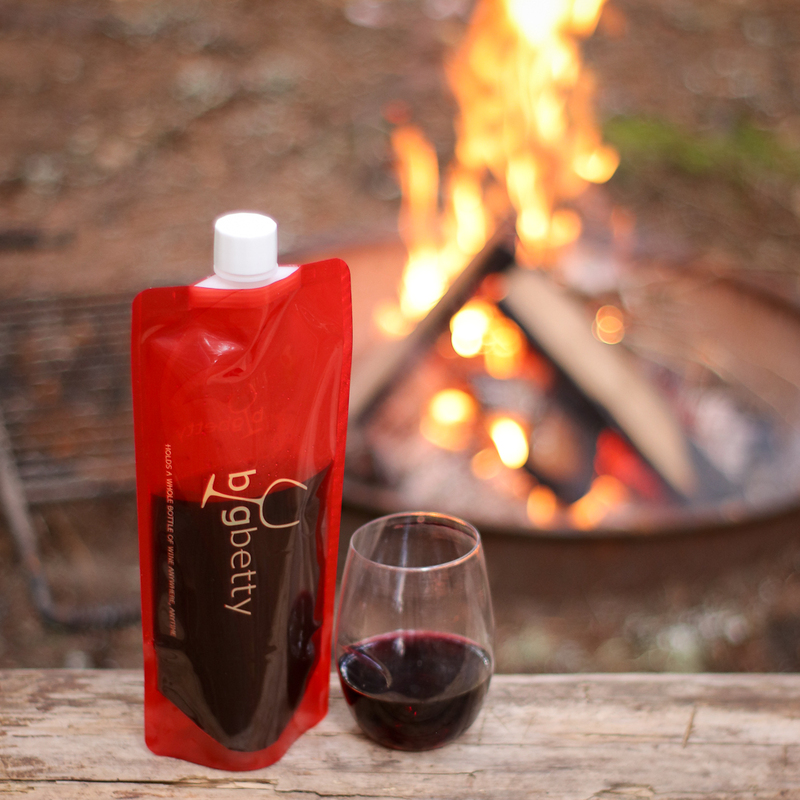 This durable, flexible wine flask allows you to take an entire bottle of wine with you when you abandon the dining table for the campfire. 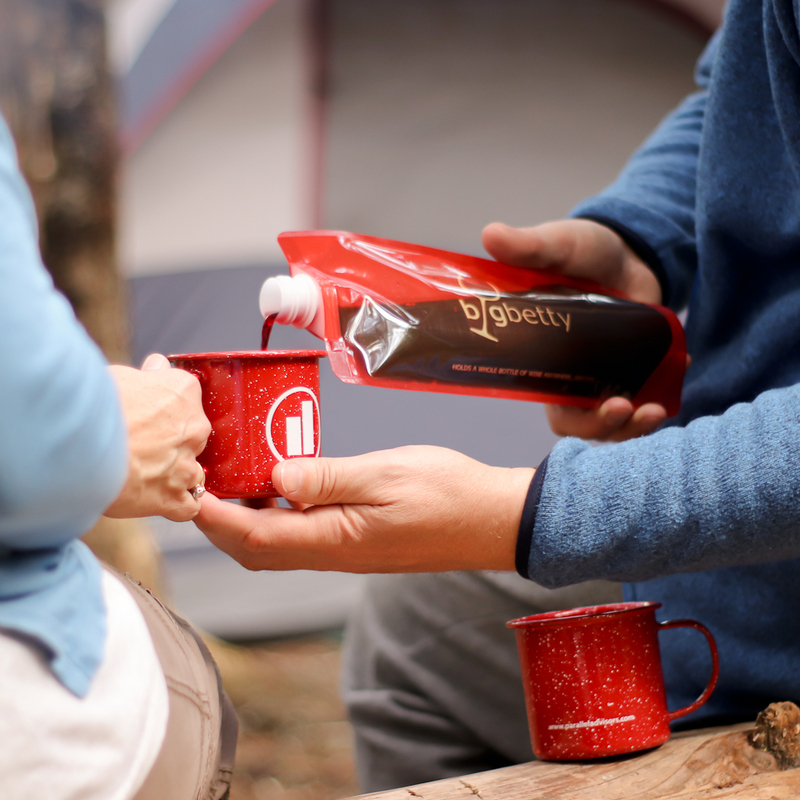 You’ll be able to enjoy your wine without risking broken glass as you jam at the concert, relax in the woods, recline on the beach, or celebrate a successful climb at base camp. 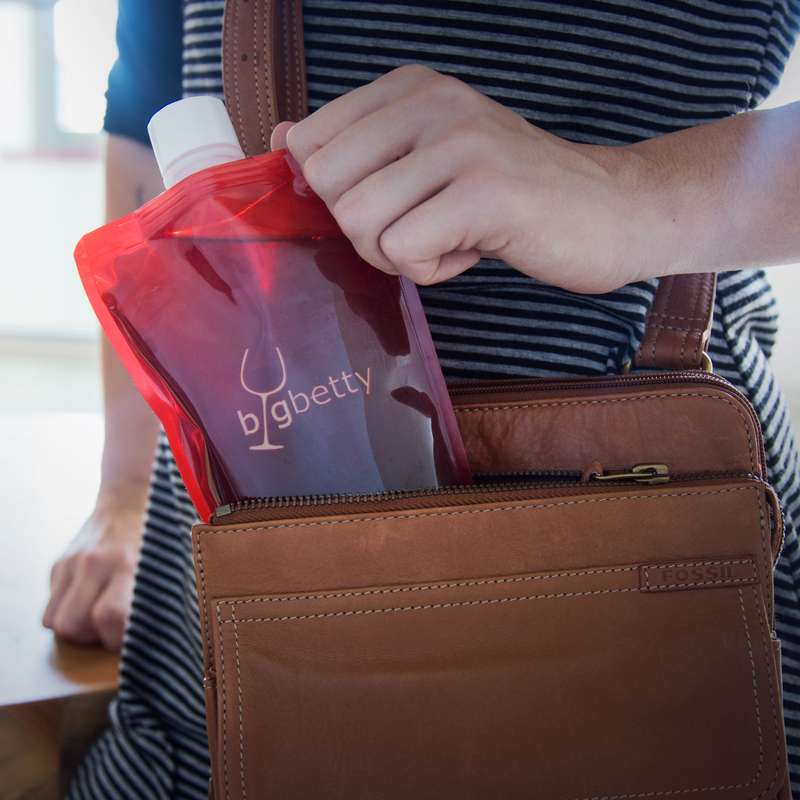 On-the-Go is the easiest way to transport wine for all of your outdoor adventures. 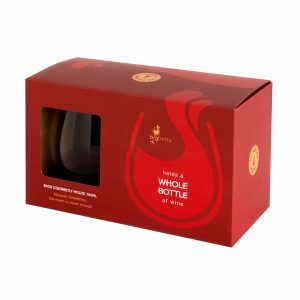 This flexible wine bottle is perfect for rolling and folding to take with you virtually anywhere. The strong plastic material won’t break like typical glass bottles. 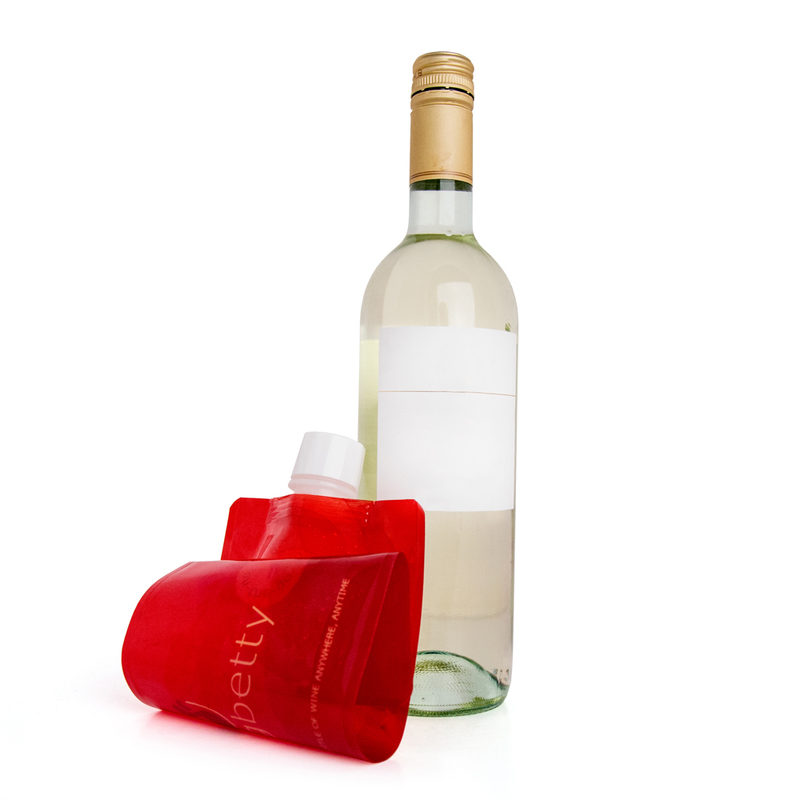 The plastic flask is also made of BPA-free plastic and is freezer-safe, so you can enjoy a lovely chilled wine while you relax under the sun. To clean, simply rinse with warm water and allow to dry. 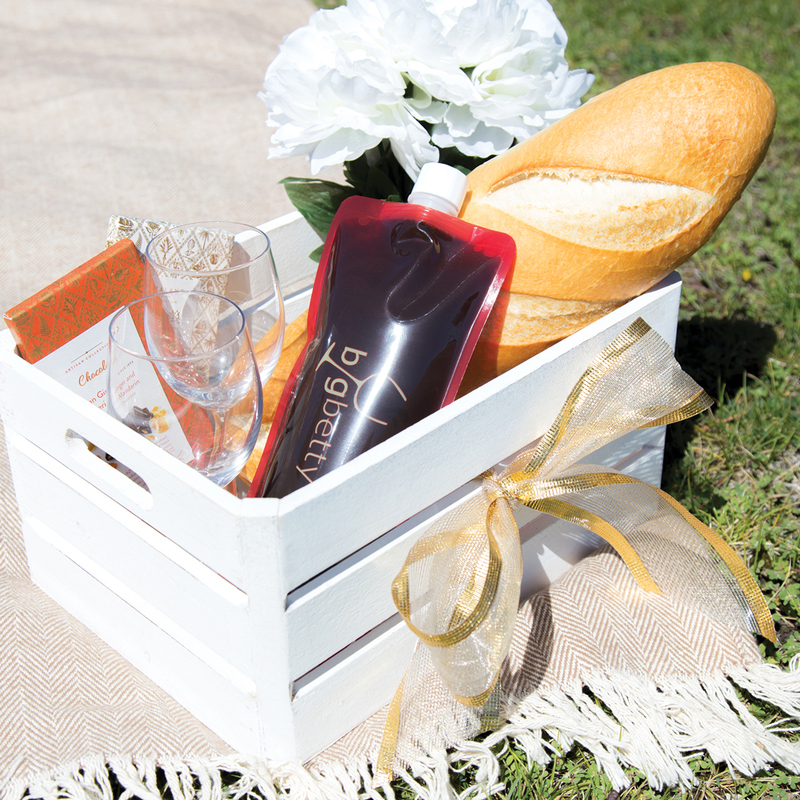 This wine bag is an affordable and creative gift idea, making it a win for you and your friend! 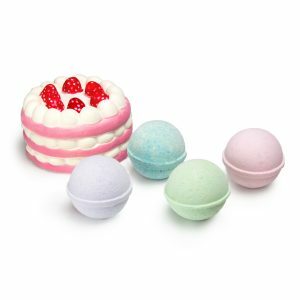 Whether you’re treating a friend or family member, they’re sure to appreciate (and actually use) this clever gift. 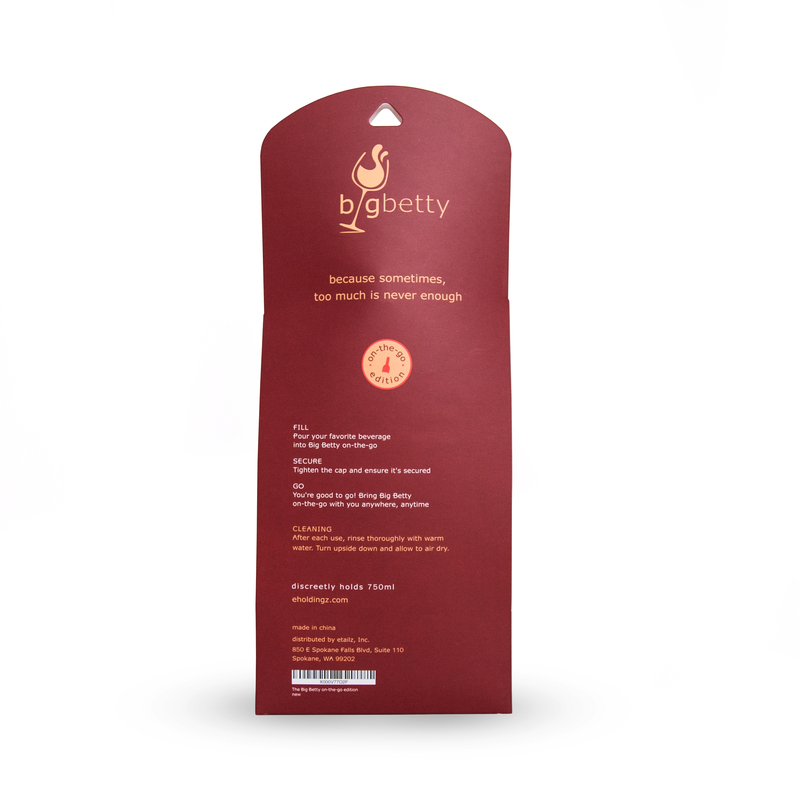 When you decide to come in from the great outdoors, enjoy your wine from one of Big Betty’s more traditional glasses (don’t worry: they also hold an entire bottle of wine). 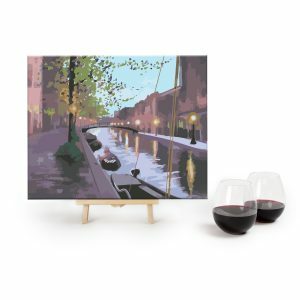 See if the Original Big Betty jumbo wine glass strikes your fancy, or if the chic Stemless Wine Glasses are more your style.